24 hours ago I noticed CTP 3.2 being mentioned on MSDN and the download center. A couple of hours ago it was released, AND HOW! As we’re used by now, the SQL Server team has made a huge effort. 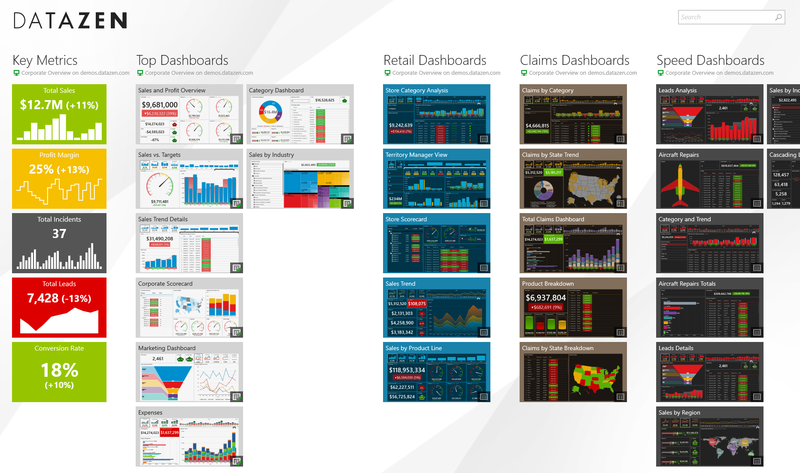 The real treat, and the subject of this blog post, lies in the integration of Datazen into SQL Server Reporting Services. I’m going to be very brief on this subject because it’s all still very new and I’m sure you want to get started yourself! There’s even a new SSRS web portal which you might recognize if you ever used Datazen! For comparison, here’s the Datazen portal. Do you see what Microsoft did? Perfect integration of Datazen into Reporting Services! We even notice the differentiation being made between KPI’s, mobile reports and paginated reports. Start your own Mobile Reporting! Get SQL Server CTP 3.2 over at the evaluation center. And get the CTP 3.2 downloads like Report Builder from the download center. There is some sad news however, the Mobile Report Publisher is not available yet. It is planned for the end of december. Crucial step: Remember to provide Microsoft with a lot of feedback so they can improve the area’s that you think are not up to par yet. If you’re wondering what the BI roadmap looks like, quickly check this blog post from almost 2 months ago! After you’ve looked at the road map, you too will notice that this release is a huge leap for SQL Server. The on-premises BI stack now seems to be feature “complete”. 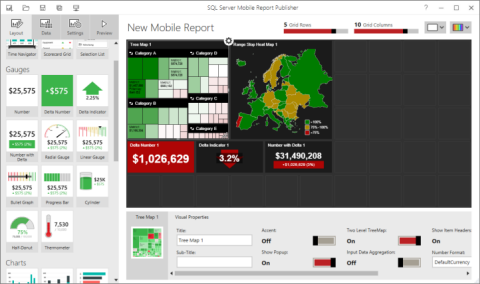 And we now also received Mobile Reports integrated in SQL Server! 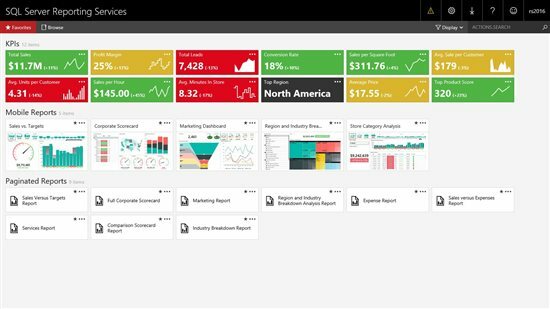 The best thing probably is that your users can enjoy Mobile Reports and Power BI reports in one and the same app. This ensures that they will have the same experience and makes it a bit easier to manage for IT. What are your thoughts on this course for Mobile Reporting in SQL Server? Were you expecting something different from the Datazen integration? Let me know in the comments or via twitter!